This Midtown home offers exceptional functionality for today's diverse families! The kitchen is updated & equipped w/ top of the line appliances & custom cabinet storage. The dining, living & sunroom areas expand the front of the home w/ outstanding space & versatility. Open the double french doors on a crisp spring morning which line the hall to the additional, unexpected space this home offers which makes an ideal in-law suite w/ private entry. The backyard & courtyard are extraordinary too! You've got to tour this home in person to understand & appreciate all it has to offer. 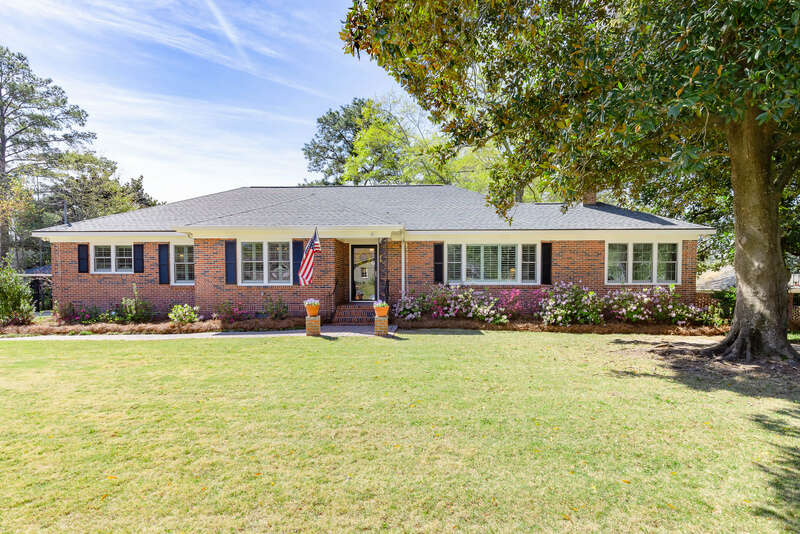 The beautiful addition was completed in 2017 & includes a great rm w/ vaulted ceilings, a bedroom, a full bath, a wet bar & all of this connects to the existing extra large 5th bedroom; this area can be accessed through the carport for private entry. The main house is app 3684 sqft w/ a 68 sqft heated/ cooled workshop rm w/ sink on the carport. Don't forget the extensive attic storage w/ walk-in cedar closet!